In The Humidor – Page 10 – Your Cigar Review Headquarters… Since 2007! March 15, 2012—Hammond, Ind.–Midwest Smoke Out and Cigar Rights of America (CRA) are partnering for an evening of luxury, gourmet foods, live entertainment—and of course, cigars— Thursday, April 19 from 5-10 p.m., minutes from Chicago at The Venue at Horseshoe Casino, in Hammond, Ind. Since Illinois legislation banned smoking in Chicago, Midwest Smoke Out (MSO) is the only exposition to give cigar aficionados an evening of cigars and indoor smoking. Every year, MSO provides a free one-year CRA membership or renewal with every ticket, meaning that in only a few hours, CRA gains over 1,000 members whose average income is more than $160,000. These new members are often opinion leaders in their communities. With FDA regulation looming and states still legislating, MSO is a key event for CRA membership growth, though the evening isn’t all business. It’s pleasure, too, with ticketholders having the opportunity to meet Lou Rodriguez of the eponymous cigars, Tony Gomez of La Flor Dominicana, Cigar Master Alejandro Turrent, Victor Vitale of the Cigar Agency and Clay Roberts of A.J. Fernandez. Cigar god Carlito Fuentes is scheduled to greet all ticketholders. MSO is for everyone who enjoys luxury, with attendees receiving deluxe giveaways, complimentary massages, experiencing the latest in gaming, being dazzled by live entertainment, and enjoying gourmet food, wine, beer and spirits. For tickets (and your paid membership to CRA) contact event director Jo Sutton at [email protected] or 1-888-226-0330. For more information, visit www.midwestsmokeout.com, like on Facebook, connect on LinkedIn, or follow on Twitter at @MidwestSmokeOut. March 14, 2012 (Miami, FL) – The 107 is getting a line extension, albeit in a limited edition. factory in the Dominican Republic would be released in a salomon. The La Aurora 107 Salomon will be 7.25 x 52 which was the same size that was used for the Puro Vintage 2003. Originally released 2 years ago on the 107th Anniversary of La Aurora the 107 consists of an Ecuadorian Sun Grown Wrapper with Dominican binder over filler consisting of Dominican and Nicaraguan tobacco. Tampa, FL – March 7, 2011 – Cigar icon Avo Uvezian is celebrating his 86th birthday with the release of his Limited Edition Anniversary Cigar, “La Trompeta.” The “86th Anniversary” marks the eleventh annual limited edition release from AVO Cigars, a tradition the legendary cigar composer started to commemorate his 75th birthday. The new AVO Limited Edition 2012 – ‘La Trompeta’ is a dedication to the Jazz musician and aficionado on his 86th birthday, a coronation of his lifetime work. Decades of Avo Uvezian’s work and passion are united in every single cigar, as well as tradition and established knowledge of the tobacco master, Hendrik Kelner. Through the subtle balanced Ligero tobaccos and the add-on of Peruvian Seco from exquisite tobacco fields, this special vintage is a medium to full- bodied cigar with complex notes in the aftertaste. The beautiful, slightly oily Ecuador Special Sun Grown wrapper “Seleccion 702” awards this cigar an indescribable spicy and balanced, multi-faceted experience. This cigar converts our thoughts in dreams. A dark brown lacquered box with rounded edges, covered with a stylish black print of the “Avo silhouette” as a cigar aficionado. Avo, as the musician with his trumpet, is radiantly printed with gold foil in the background. “La Trompeta” presents itself in a majestic and charming cigar format – a brilliant 6 ½ x 54 “Torpedo” – including the addition of a special feature to pay homage to the jazz trumpet, three small circular cigar leaf cut-outs are placed on the wrapper leaf to resemble “trumpet keys” – limited to 100,000 cigars worldwide with 50,000 cigars for the US market. “La Trompeta” will be available on March 28th at Select Merchants as a 10-count box with a retail price of $15.50 – taxes not included. 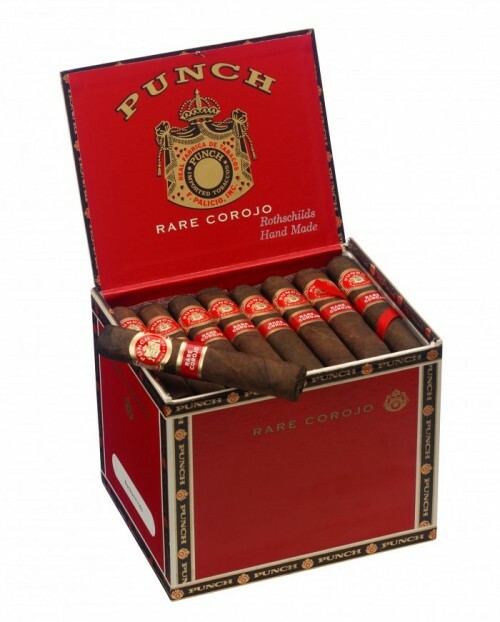 General Cigar announces that Punch Rare Corojo will be offered for a limited time, starting today and ending on May 31, 2012, while supplies last. Seven frontmarks will be available, ranging in price from $3.59 to $6.49 per cigar (SRP). A very limited supply of the Punch Rare Corojo 10th Anniversary edition (5” x 50, SRP $6.99 per cigar) will also be available for sale during the same period, or until the limited quantity is depleted. Both Punch Rare Corojo and the 10th Anniversary edition are filled with a blend of Dominican, Honduran and Nicaraguan tobaccos, and are bound with Connecticut Broadleaf; however, each has a unique wrapper. Punch Rare Corojo cigars are made with a special, extra rich, dark Sumatra wrapper cultivated in the mountains of Ecuador. Grown only in limited quantity, these rare, reddish leaves give Punch Rare Corojo its uniquely smooth taste. The 10th Anniversary blend was released in 2011 and features a rare Connecticut Corojo wrapper. Photos of Punch Rare Corojo are attached. Pls see the attached zip file for photos of the 10th Anniversary edition. Pueblo Dominicano Toro Cigar Review – Great Value! MSRP: around $5.00 Great Value! I figured that description was enough for me to give it a shot. The light up was surprising with a burst of spice and earth. Wow, this cigar started out great with lots of flavor! Getting into the second third I was experiencing some caramel and coffee with a razor sharp burn, no touch ups here(which is a big plus in my book.) The smoke was not overbearing but certainly ample enough to enjoy the flavors and aroma. The ligero was certainly pronounced on every puff as the strength hit the back of my tongue. The good thing was that even though this cigar had lots of ligero it was definitely smooth and easy smoking. I would infidelity pick up more of these, as I really enjoyed this cigar a lot more than i thought i would. The price point is also excellent and I have made it part of my Great Value line of reviews. MSRP: around $2.50 Great Value! A little over a week ago I posted up a Press Release about the new sizes in the Nat Cicco line of cigars, the Cuban Legends. Well here today I have a review on the #4T size which is an interesting size to say the least. It is a 4″ x 58 ring gauge short fatty torpedo, to put it bluntly. This size of cigar is something i usually don’t go for but I was game to give this a shot anyway. Let me first say that the cigar is beautiful with a soft oil glisten on the wrapper. You can see from my picture of it that it looks like a decently expensive cigar, well it isn’t! I could not believe the price point on these things… less than $3? Really? As I put flame to the foot I picked up earth and some mild leather, this wasn’t a spice or flavor bomb but I could tell that it was going to be smooth. The first third was of smooth tobacco and bit more leather, i also sensed a hint of citrus. The burn progressed nicely throughout the cigar with a touch up or two only. The cigar produced a decent amount of smoke as some of the larger ring gauges do. The cigar gets harder to smoke as it progresses because of the width but I was able to finish it close to the nub. While I am still not a fan of this size of cigar I think this is a superb deal for the price. Zander-Greg has done a great job with this and hope to see some new blends in the future. I will add this cigar to my new Great Value category! I am not the biggest Gurkha fan but I do really like the Black Dragon and the Beast, so those cigars are worth this deal alone. Poker games of the past were always thought of as a bunch of men sitting around a poker table smoking cigars, having a few drinks, and throwing money around. Nowadays, health laws prevent players from smoking cigars while you play casino poker, but you will still find many home games where men play just like players did 100 years ago. Here are some of the more common types of cigars that you will probably see smoked at most home poker games. 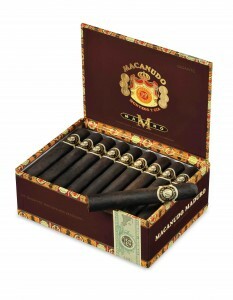 One of the more common types of cigars that you will see smoked are Macanudos. This brand seems to be a big hit with men from 35 to 45 years of age. This may be because many of them grew up with family members that smoked them or the fact that it was considered cool to smoke them in the 90’s and 2000’s. The younger the player, the more likely you are going to see them smoke Boutique brands. Tatuajes and Illusiones are the “In” cigars to have. As well as many other newer cigars to hit the market, a lot of these cigars are not cheap so are mostly out of my price range. King Edward Cigars seem to be a common choice, especially for your older players. Paul McKinney took down the Seniors Event at the 2005 World Series of Poker at the tender age of 80. Every day of the event, he had an unlit cigar in his mouth that was rumored to be a King Edward Cigar. He was even seen in the winner’s photo with the cigar in his mouth. That earned him the nickname “cigar” as well as a fat $207,725 payday. He left the US casinos with that money and went right back to his home game with a bankroll big enough to fleece any of his buddies. While cigars may no longer be allowed in live casino poker rooms, they are still part of the poker culture in home games. The brand you may choose to smoke may vary, but many poker players would not think of showing up to their favorite home game without a good cigar to smoke. 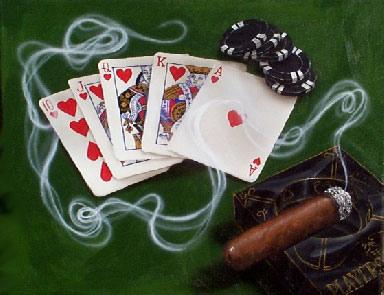 What cigars do you enjoy while you play poker or any other games? Do you go for the expensive boutique brands or do you enjoy a budget smoke? Padilla La Terazza Great deal! 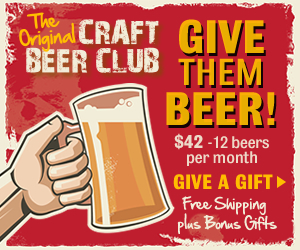 Offer expires Monday, February 27th at 11:59pm EST, or while supplies last. This looks like a great deal for my readers out there, I would jump on this. “When it comes to Padilla, you know what to expect: full-flavored, ultra-premiums that deliver time and time again. That said, here’s a brand new addition to the Padilla family and (naturally) I’m launching it with a major discount. For a limited time, Padilla La Terraza Robusto 10-packs are only $17.50. Padilla La Terraza is loaded with rich Nicaraguan long-fillers, finished with either a dark, oily Maduro wrapper or a reddish-brown Habano leaf. After aging, this medium-bodied blend delivers a rich, hearty smoke complete with notes of pepper, earth, coffee, and sweet cedar. Thick creamy smoke, tons of flavor, and that hallmark Padilla quality make La Terraza a welcome addition to the Padilla family and your cigar-burning lineup. And for just $1.75 apiece, I’m sure you’ll embrace it many times over. Padilla’s La Terraza, in your choice of natural or maduro, just $1.75 apiece. Unbeatable. Carnero is available in four classic Cuban shapes … Lonsdale (6” x 44), Robusto (5” x 50), Churchill (7” x 50), and Belicoso (6” x 52). 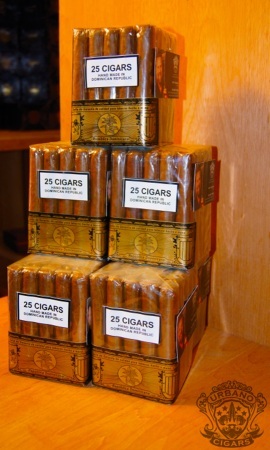 Twenty cellophane-protected cigars come in a Cuban-style “dress-up” heavy cardboard box, with bold Ram’s Head logo. Manufacturer’s suggested retail pricing for this all-long-filler, handmade premium cigar line is an accessible $5 to $6. Mahroukian emphasizes the fact that this is not a strong but flavorless cigar. The filler’s base leaves fit the top-quality Dominican profile … smooth and creamy on the palate, with a rich fragrance and bouquet. The second offering, the Connecticut-wrapped Carnero, is no less eyebrow-raising. Again, the all-Dominican filler suggests a mild smoke, but it has a medium-full body, due to the Connecticut Broadleaf binder. The tobacco in both Carnero cigars is aged a full two years, with another six months on the finished cigars. Carnero is now in production in the Dominican Republic. An introductory program of incentives for smokers are in planning, and will be announced in early 2012. “We only wish we’d done this two years ago,” laughs Mahroukian. His excitement is understandable … “Carnero isn’t the company’s first premium cigar,” he reveals. In 1995, JM emerged on the premium cigar scene, with “Española,” JM’s premiere fine cigar. By 2000, the company retreated from the declining premium cigar market. They retained the tobacco, nonetheless, and obtained strong sales early on, with this cigar, which became “JM’s Dominican.” Like today’s JM’s Dominican, this original hand-rolled, value-priced cigar had an all-medium-length filler of choice Dominican tobaccos. JM Tobacco also included a nice touch … punch-cut heads. JM’s Dominican has not only enjoyed sales success in its eleven year history, it is enjoying very strong sales, in today’s “moving-down” market. Photo caption: JM Tobacco’s new entry into the premium cigar market, is Carnero, a powerful but refined 100% long-filler, handmade cigar, in two wrappers. Family-owned JM Tobacco, Inc. was founded in 1994 by John Mahroukian. The company distributes its natural and flavored premium cigars, plus its new line of JM’s Hookah tobaccos, through retail tobacco stores across the United States and in Europe. It is based in Los Angeles, California, and imports its cigars from the Dominican Republic. Mahroukian’s son, Anto, currently serves as company president. The year 1874 saw the establishment of what would become one of the world’s largest cigar manufacturers, the 7-20-4 Cigar Company. Founder R. G. Sullivan built his company’s reputation on his motto: “Quality Still Impels Its Growth.” The Manchester, New Hampshire, company was flourished until the Cuban Embargo closed it and many other world-renowned premium cigar labels. Founder and company president of the newly-reborn company, Kurt A. Kendall, is a successful New Hampshire cigar retailer, with three stores in the state. He became intrigued with the historic brand, and acquired the defunct trademark in 2009, determined to return the brand to prominence. When asked the origin of the company’s name, he explained, “It was the original factory showroom’s address at 724 Elm Street.” All 7-20-4 boutique premium cigars are now hand made from 100% long-filler tobaccos, in Danli, Honduras and Esteli, Nicaragua. The 1874 Series is Kendall’s second introduction, following the 7-20-4 brand’s 2009 debut. The first cigar was noted for its deeply complex six-nation blend, which has now grown to eight shapes. The premiere 7-20-4 boutique cigar received wide acclaim for its performance, and the 1874 Series has followed, receiving kudos in the cigar media. Three 1874 Series shapes are offered … a 6″ x 46 Corona Especial, a 5-1/4″ x 52 Robusto Especial, and a 6″ x 54 Torpedo Especial. The complex blend consists of a filler from Nicaragua’s Jalapa Valley and the nearby cigar-making capital of Esteli, an Indonesian binder, and a Jalapa-grown Habano wrapper. Kendall feels he has struck the ideal balance of medium body and full flavor, based on his fifteen years as a cigar retailer. “I know what sells,” he explains, “plus branding and what kind of box and band art draws the eye in a humidor. Like the original 7-20-4, this cigar is blended for every palate. The generous flavor of both 7-20-4 lines satisfies even seasoned veterans, and newer smokers aren’t overwhelmed by the body.” To date, his roster of 350 retailers validates his philosophy. Although Kendall does not describe the flavor profile of the 1874 Series, reviewers use, among others. the terms “toasty,” “buttery,” and “slightly raisin-like.” They also comment on its excellent balance. Kendall does say the cigar is “very smooth on the palate, highly aromatic, with a spicy character … not on the tongue, but in the nose.” Much of the 1874’s sophistication is due to its five years of wrapper aging and four years of age on the filler. The completed cigars rest another 180 days before shipment to retailers. 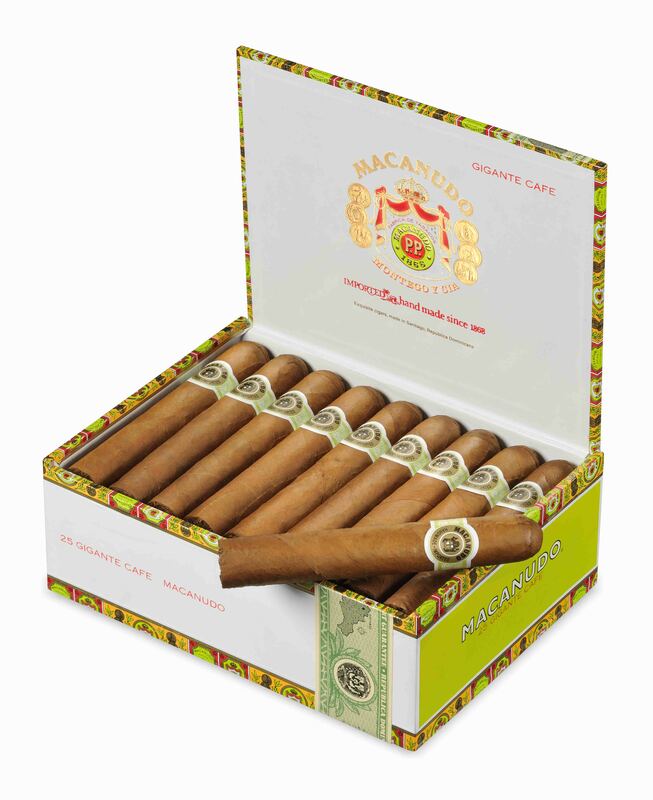 Traditional Cuban Entubado bunching, wherein each individual filler leaf is tubed, prevents off-center burn and hard/plugged draw, smokers’ two major complaints. The finished cigars are individually cellophane tubed, and presented 20 cigars to a high-quality cedar cabinet. Manufacturer’s suggested retail pricing for the cigar is $8 to $10, and all three shapes are now available at better tobacco retailers nationwide. In-store posters and humidor “shelf talkers” guide smokers to the 1874 Series cigars on display. Urbano Economy Bundles’ wrapper selections are Connecticut Shade, Sumatra, Habano, Corojo and Maduro. They are available in Robusto, Torpedo, Toro, Churchill, and the company’s new 6″ x 60 shape. As an extra quality touch, the heads are double-capped, to prevent the messy frustration of having a cap unravel in the mouth. There’s real value in these smokes … the long filler and binder are all top-quality Dominican tobaccos that have been painstakingly fermented, then patiently aged. 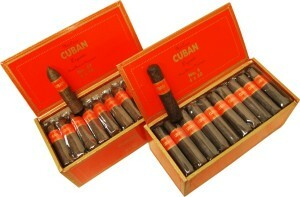 They are hand-made by a Cuban-owned Dominican boutique cigar factory, then aged another three months. Each cigar is individually cellophane-sheathed, and packaged in plastic-wrapped bundles. All shapes are packaged 25 cigars to the bundle, except for the 6″ x 60, which comes 20 to a bundle. Manufacturer’s suggested retail pricing for the Connecticut and Sumatra start at $48 (Robusto), and top out at $55 (6″ x 60). 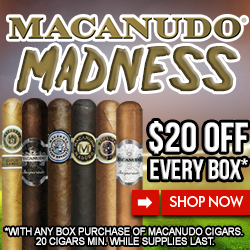 The Corojo, Habano and Maduro-wrapped cigars retail for $48 (Robusto) to $60 (6″ x 60). Quoting Urbano, “Long-filler, hand-made Economy Bundles compete head-to-head with mass-produced, ‘no-names,’ factory seconds and overrun items. They’re perfect for today’s depressed economy, delivering premium flavor, quality and affordability to the everyday guy.” Urbano Economy Bundles are now available at tobacco retailers nationwide. 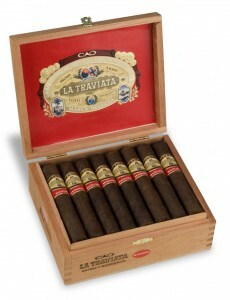 CAO La Traviata has introduced the popular “Luminoso” frontmark in a new Maduro version. Following in the footsteps of the highly successful Ecuadoran-wrapped CAO La Traviata Luminoso, the new Maduro version features a Connecticut Broadleaf wrapper to lend a touch of sweetness to the critically-acclaimed blend. At 4.5” x 50, the new Rothschild will be available for an SRP of $5.10 per cigar, or $153 for a 30-count box.